Since Fanning the Flame recommends that we find historical and Biblical mentors, I have been on a quest to find Christian women who are worthy of emulation. I located this free biography on BookBub (check them out, they have many free and low-priced e-books in a variety of genres at https://www.bookbub.com). Before I read this book I only knew Harriet Beecher Stowe as the author of Uncle Tom’s Cabin who was involved in the abolition movement. I was surprised to find that she wrote many novels, as well as short stories and essays for magazines, both before and after the publication of her most famous work. Far from being sentimental drivel (as I always thought), Mrs. Stowe based her novel on factual case histories that she researched and that verified all that she had written. She was respected by leading writers of her time, including Dickens, Thackeray, Mark Twain and others who accepted her as their peer. She became quite a celebrity and was in great demand as a speaker, although she remained shy, and in old age, rather reclusive. She traveled to Europe and met Queen Victoria as well as other members of British nobility and literary circles. 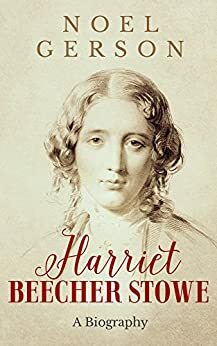 She also met with President Lincoln who supposedly greeted her as “the little lady who started this big war.” I am frankly puzzled that she was not included in any of the America Literature reading lists or courses I encountered as an English major! Her home became a rallying center for anti-slavery activities and she refused to take fees for writing anti-slavery speeches. Verdict: Harriet Beecher Stowe is definitely a worthy, historical mentor for Christian women today. After reading this biography, I’m interested in also reading Uncle Tom’s Cabin and some of her other work. Maybe I’ll be reviewing one of them later! This entry was posted in Christian books, Fanning the Flame and tagged BookBub, Christian women mentors, Harriet Beecher Stowe, the abolition movement, Uncle Tom's Cabin by jculler1972. Bookmark the permalink.